Del Rey, Lana — Love-her-or-hate-her musical ingenue Lana Del Rey recently appeared as the cover story on something called Madame Figaro magazine (I’m sure you already have a subscription) and in the included interview mentioned to her profiler that she hopes to ‘become a sort of Angelina Jolie.” You’re already there, Lana! You’ve been way overhyped before actually doing anything artistic worth mentioning and people are still putting you on magazine covers without you actually doing or accomplishing anything real! You did it! Effect, The Norbit — Pop culture magazine Entertainment Weekly this week wonders if such a thing as “The Norbit Effect” exists, and if it causes otherwise deserving actors to lose Acadamy Award chances after an ill-timed movie leaves a bad taste in critics’ mouths. If this is true, it could bode badly for Austrian director Michael Haneke, whose Oscar-nominated darling Amour could be overshadowed by the unfortunate recent release of his follow-up film Bernhard: Le Chef Qui Pète (Bernhard: The Chef Who Farts). I’m sorry, did you say something? We stopped listening in 1994. Our bad. 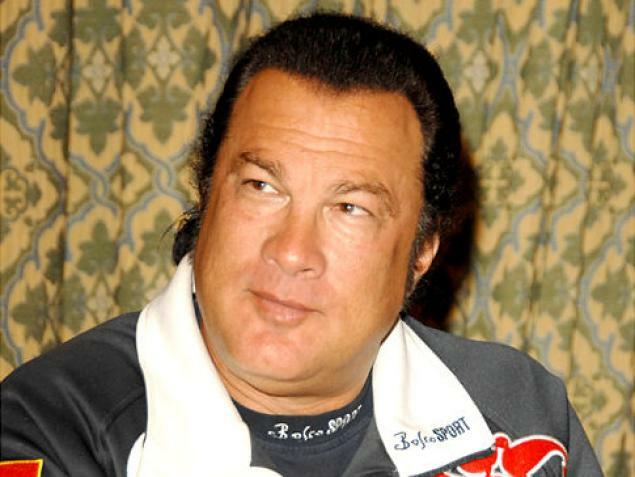 Seagal, Steven — Puffy-faced karate star Steven Seagal has appealed to Barack Obama to give a presidential pardon to his former business partner Julius R. Nasso, who was convicted of extorting millions of dollars from the actor after several project collaborations between the pair fell through. The president is reported to be mulling over a pardon of Nasso, but allegedly has no intentions of excusing Seagal for the films Hard to Kill, Out for Justice, Marked to Death and Under Seige. Soleil, Cirque du — Montreal-based entertainment troupe Cirque du Soleil announced over the weekend that due to rising production costs for the company’s grandiose productions, it will be laying off four hundred people in the new year. Looks like it’s an even worse time than usual to to be a team of five people who dress like a giant undulating caterpillar. Story, Toy — Always loved Disney’s Toy Story trilogy but never had the time to sit down and think about how creepy it might look if it the whole thing existed in real life? Salvation is here! Check out the eighty-plus minutes of the YouTube sensation “Live Action Toy Story” to see what happens when creative Toy Story fans have a whole lot of time to kill. Enjoy. Swift, Taylor — Pop-country superstar Taylor Swift is, according to gossip columns, getting tired of constant joking about her active dating activities, with sources stating that the kidding is taking an “emotional toll” on the singer. You can learn more about this in Swift’s upcoming single “Stop Making Jokes About My Love Life, Anonymous Populace of a Large English-Speaking Country.” It’s always fun to see if you can guess who she’s talking about!